Home » The Buzz » uncategory » Are Gas Cards Still a Good Value in 2018? High gas prices and high APR could mean that co-branded gas credit cards aren’t a smart payment option. Gas cards can be a really great value when used correctly, but a new report in Forbes finds that most cardholders are spending more than they’re earning. 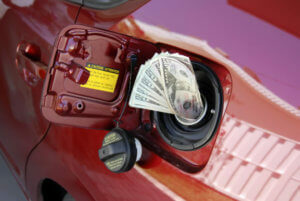 Experts say that rising gas prices mean more consumers will be likely to carry balances over month to month. Gas prices have already hit $3 in most parts of the country and may top $4 before the end of the summer. That means high transportation costs for American families. And if you put those costs on credit, you may not pay the balance off every month.At the same time, credit card interest rates are on the rise, too. The Federal Reserve has already raised their benchmark rate several times and they’re expected to do so again. Every time the Fed rate increases, so do the interest rates on most credit cards. Reward credit cards tend to have higher APR than other general-purpose credit cards. But experts say APR on gas cards is much higher than even other types of reward cards. The average APR for a general-purpose credit card with no rewards just hit a record high of 16.83% at the end of June. Reward credit cards have an average APR of 16.9%, but that’s still almost 10% lower than most gas cards. According to the American Bankers Association, 44% of credit users are “revolvers.” Revolver refers to a card user that carries at least one credit card balance over each month. This is opposed to “transactors,” who are cardholders that pay off their balances in-full each month. Herman says that with such high interest rates, you really only want to use gas cards if you’re a transactor. You must start and end each billing cycle with a zero balance to avoid interest charges. Some cards offer a grace period, which is a certain amount of time after the payment due date before interest charges apply. Not all credit cards have a grace period – check your credit card agreement to see if your cards do. But if you pay the balance in-full by the due date, you can avoid interest charges even on cards without any grace period. Let’s say you have an economy vehicle with a 12-gallon tank. You fill up every week. With gas prices currently around $3, that means you spend about $36 every time you fill up. Multiply that by four weeks and you spend about $144 per month on gas. You put these charges on a gas card that has 28% APR and a minimum payment schedule of 2.5% of your balance. The lowest minimum payment is $15. Now, if you only make the minimum payment on the gas card, you spend $15 each month. But one third or more of each payment goes to cover accrued interest charges. What’s more, you’re only paying off a small percentage of what you charge each month. So, your balance increases over time. The higher it gets, the more you pay in interest charges. You pay the $15 minimum payment. Out of that amount, $3.36 goes to cover interest charges. So, your balance at the end of the second month is $276.36. Now when you pay the $15, $6.45 goes to pay off accrued interest charges. Now interest charges take up $9.61 and you only pay off $5.39 of principal with your $15 payment. Herman also says you need to keep in mind that the rewards you earn on gas cards are quickly offset by interest charges. Usually within 1-2 billing cycles of carrying a balance, you’ve cancelled out the miles you earned or the cash back you saved.